The decision to bring your child to counseling services can often bring on a variety of different emotions and questions for each parent. I think part of my heart has always been devoted to children since a young age and it is one of my favorite populations to work with in a counseling setting. Children are very resilient and open when given a warm, open environment that speaks to their needs. Throughout my years of professional and personal experience I find that children work out their issues best through element of play. When I started my training in play therapy, I was immediately drawn to how natural of a setting this creates for a child to communicate with others, express feelings, modify behavior, and develop problem-solving skills. Below is some additional information on play therapy and how it can be beneficial for your child. Play therapy is to children what talk therapy is to adults. Play is the child’s way of communicating just as talking is the adult’s natural way of communicating. In the playroom, toys are used like words and play is the child’s language. Children are provided special toys in the play therapy to enable them to say with the toys what they have difficulty expressing with their words. They can use dolls, puppets, paints, sand tray, cars, dress-up, and other toys to say what they think or how they feel. 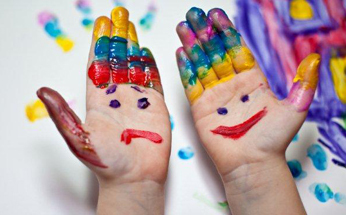 Play therapy is flexible and associated with creativity. Play therapy leads to the promotion of mental health and insight. It is important for children to play and laugh for their well-being. Play therapy expands imagination and assists with problem-solving skills by reframing the situations in a more positive light. Play provides a safe psychological distance from their problems and allows expression of thoughts and feelings appropriate to their development. The effectiveness of play therapy is supported by research for children experiencing a wide variety of social, emotional, behavioral, and learning problems, including: children whose problems are related to family changes (divorce, new members, grief and loss, etc. ), recent moves, hospitalization/chronic illness, trauma including abuse, natural disasters, accidents, and exposure to violence, anxiety, anger management, low self esteem, and social challenges.